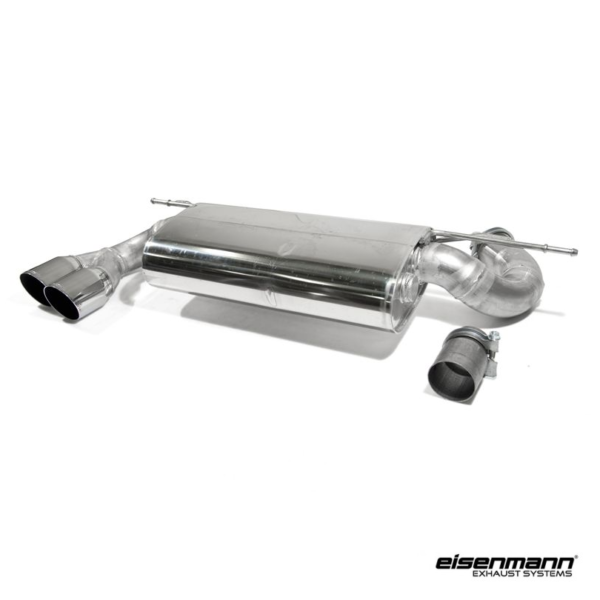 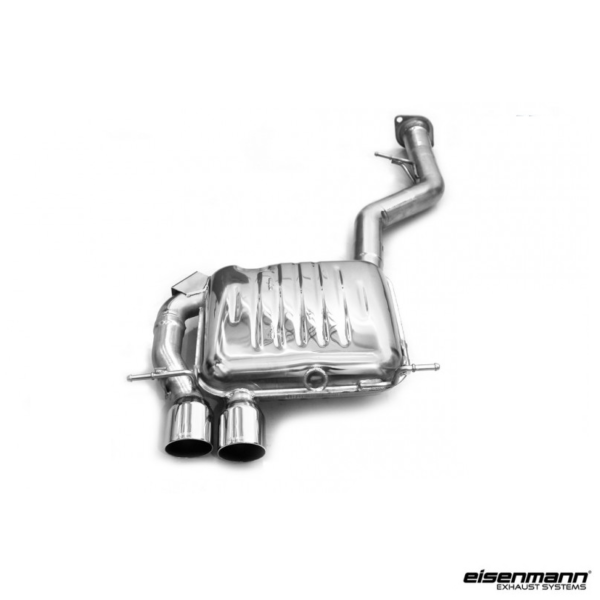 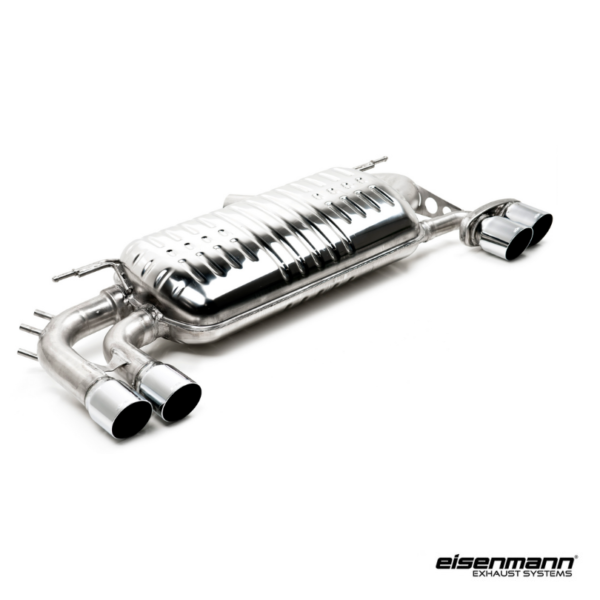 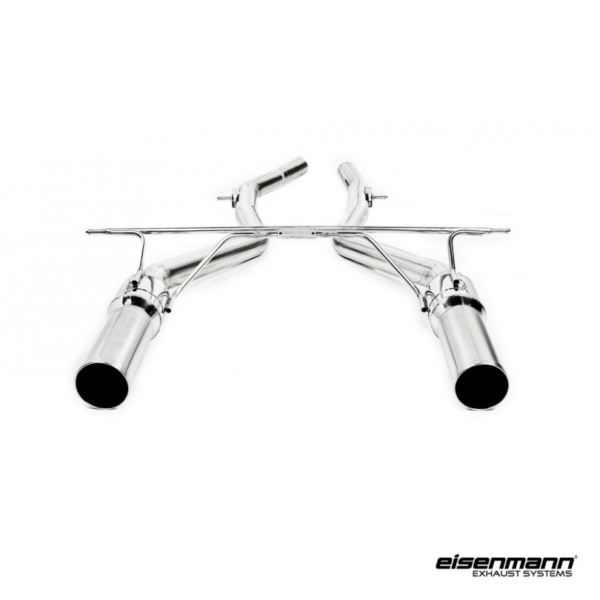 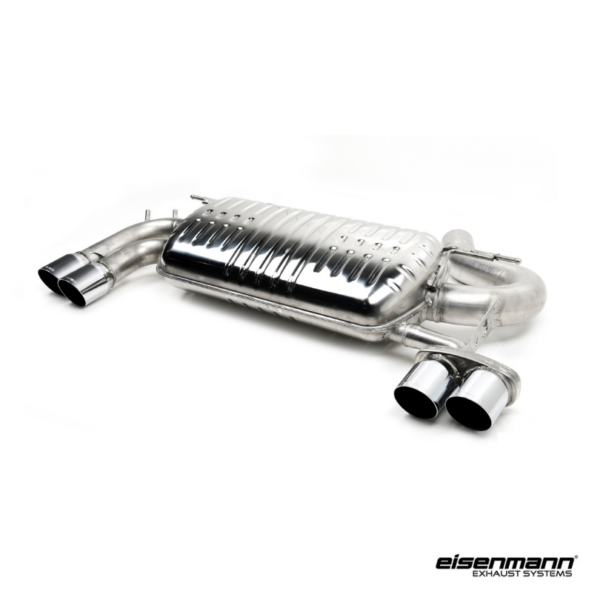 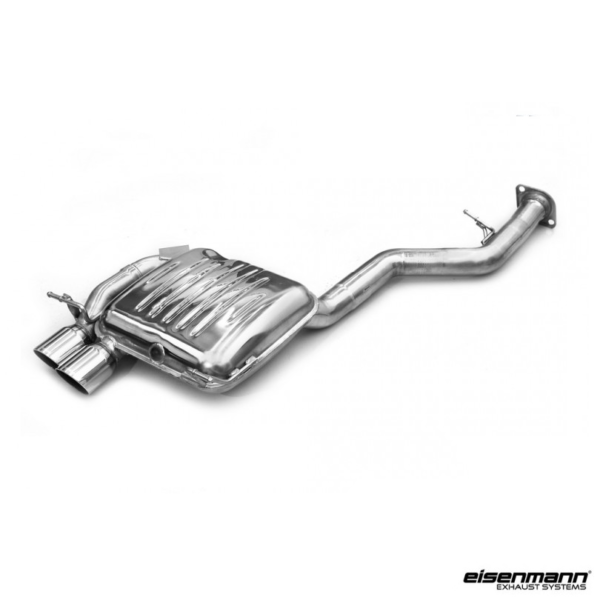 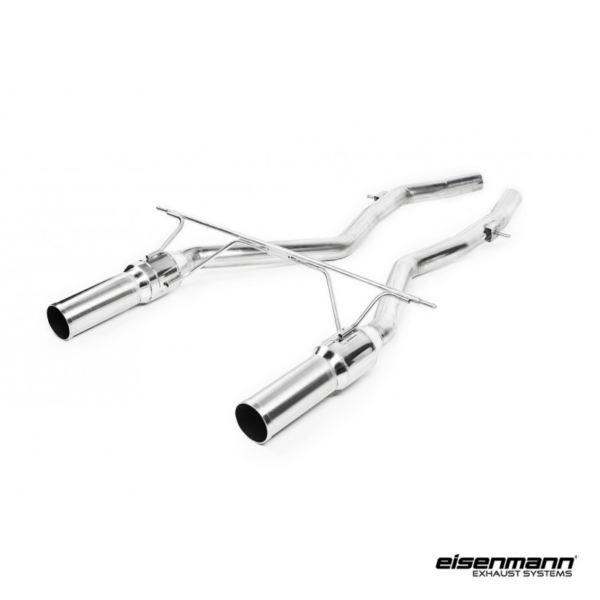 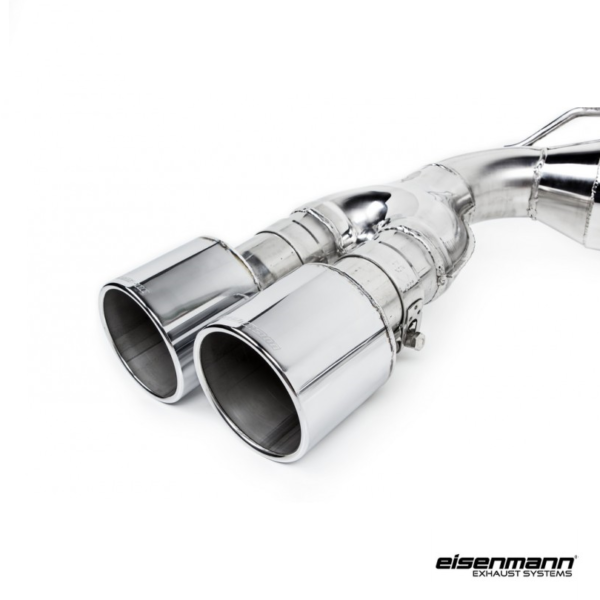 The Eisenmann BMW F8X X5M/X6M Downpipes are designed to with the BMW F8X X5M/X6M Performance Exhaust System. 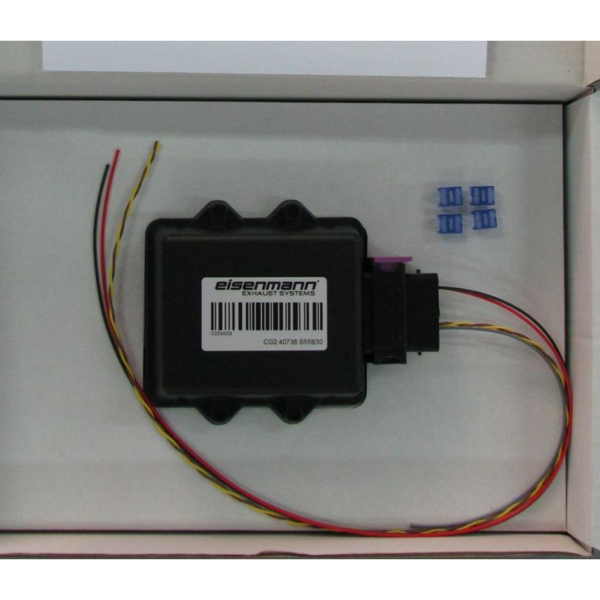 Engine ECU tuning is required to remove CEL warnings due to the increased exhaust flow. 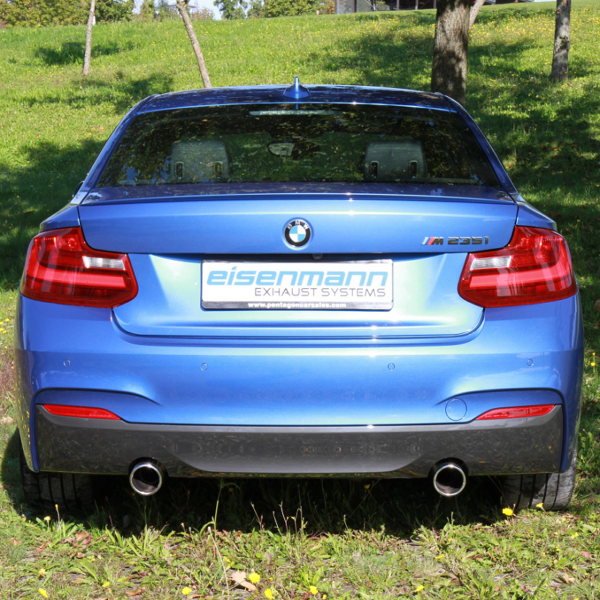 Note: Downpipes are for off-road use only. 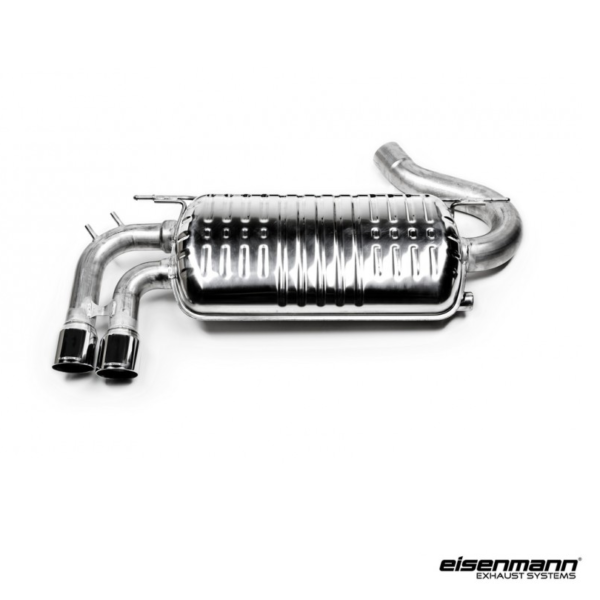 Categories: BMW, X5 Series, F85 X5M, X6 Series, F86 X6M. 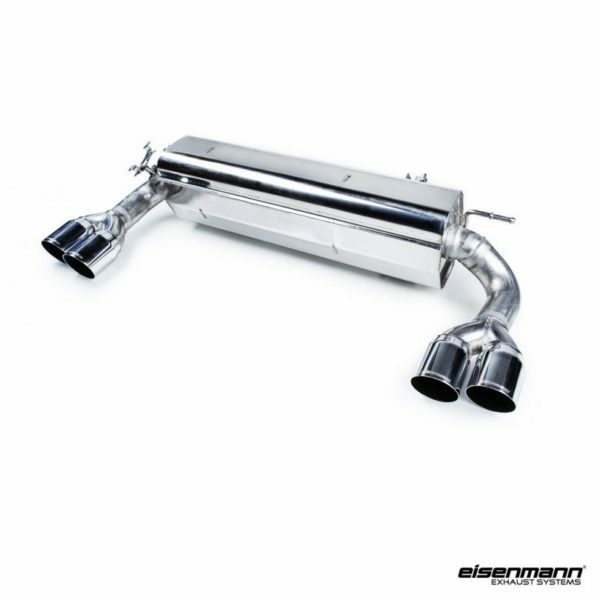 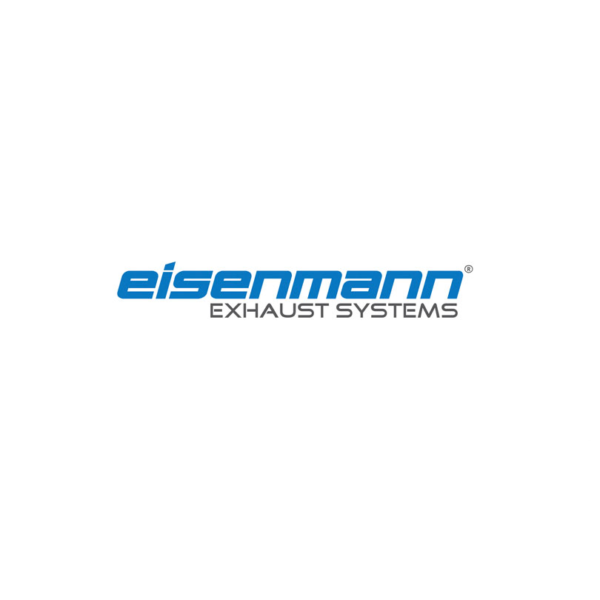 For the ultimate in tuning potential and exhaust sound, Eisenmann offers these stainless steel catless downpipes to make the F8X X5M / X6M an even more powerful machine. 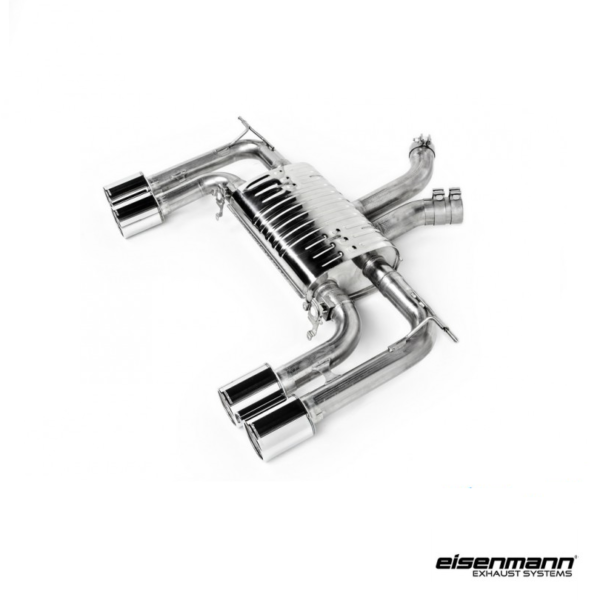 They are designed for dedicated track-day cars and enthusiasts, and it will also add to the overall experience of what’s already a stunning performance car. The catalytic converters found in the factory downpipes are the primary causes of exhaust flow restriction. 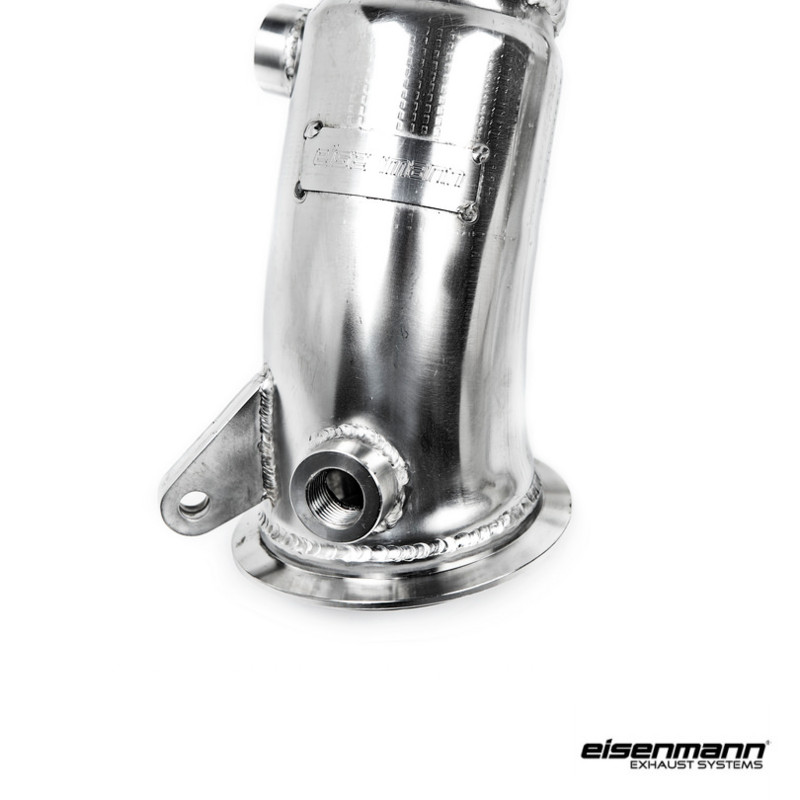 Exhaust gas must pass through the catalytic converter’s these tiny honeycomb weaves on their way to the exhaust system, thus restricting flow. 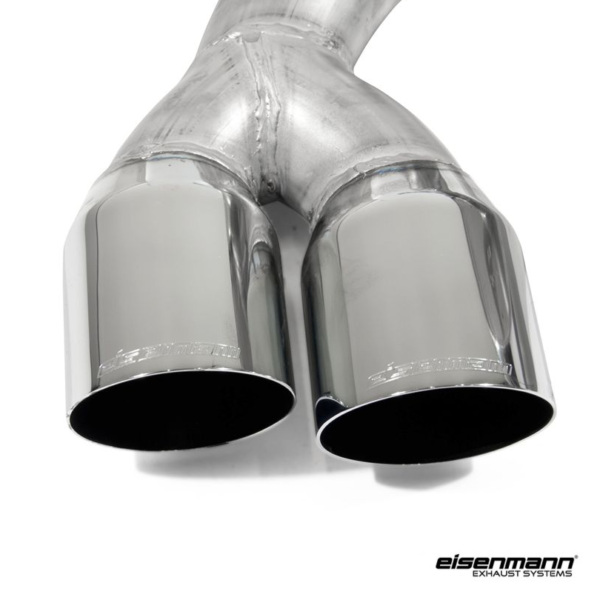 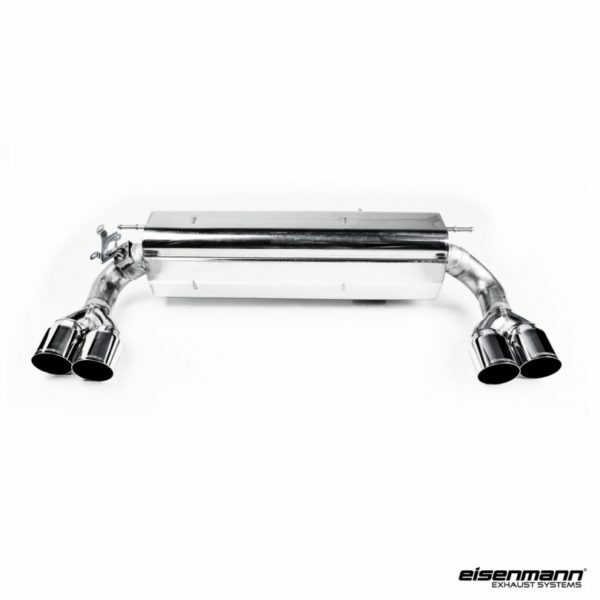 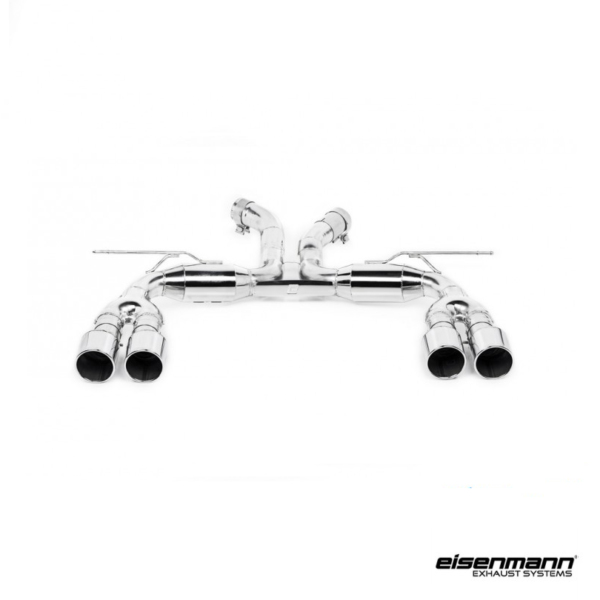 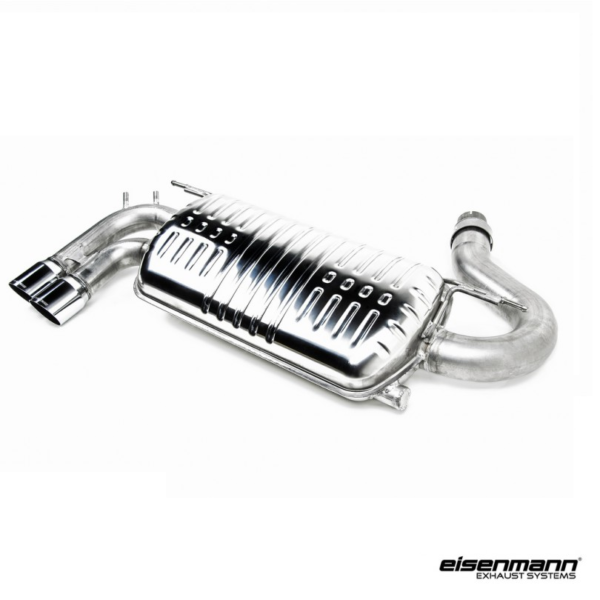 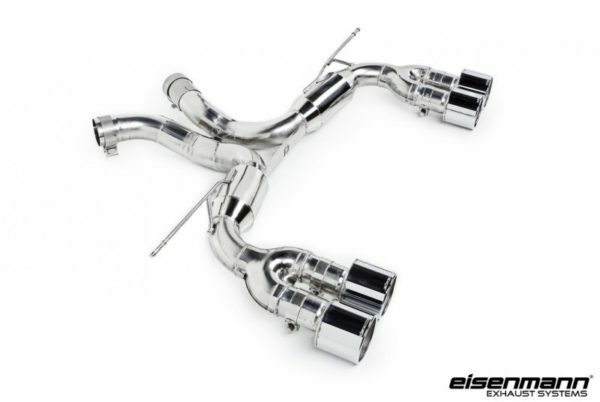 Eisenmann’s catless downpipes offer massive reduction in exhaust back pressure, allowing for more power and faster turbo spooling. 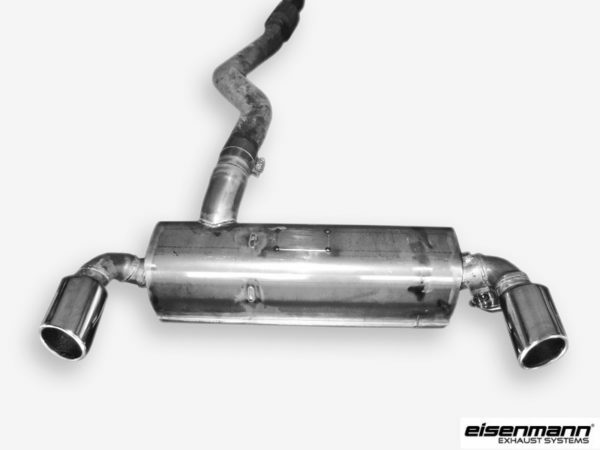 Due to the increase exhaust flow, engine ECU tuning will be required to remove any CEL warning that might appear. 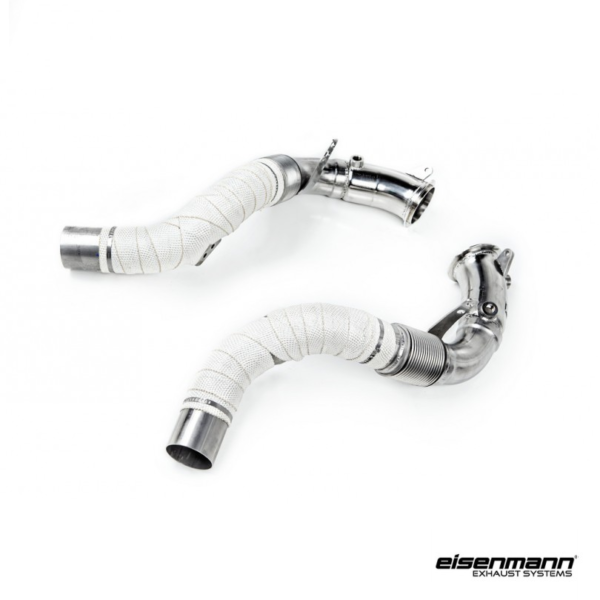 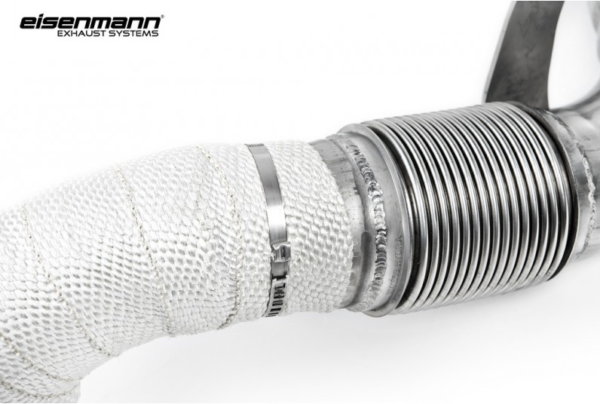 Eisenmann downpipes have a flex section that is critical to operation of the downpipe. 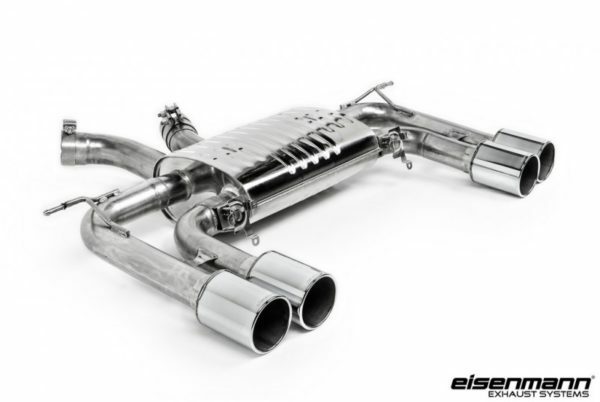 F8X M cars have an exhaust to downpipe connection that uses a “floating” gasket- that is to say, the downpipe flange moves on the downpipe, and the gasket is only fixed between the downpipe and exhaust with pressure applied from the fasteners. 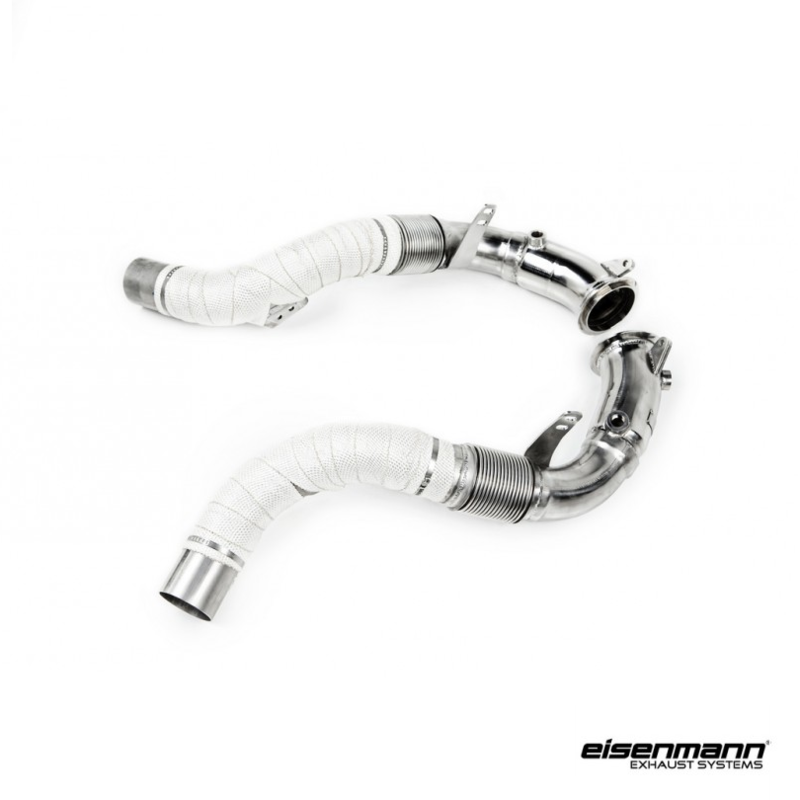 The flex section of the downpipe enables the it to move with the exhaust system, maintaining proper exhaust gasket alignment and minimizing leaks at that point. 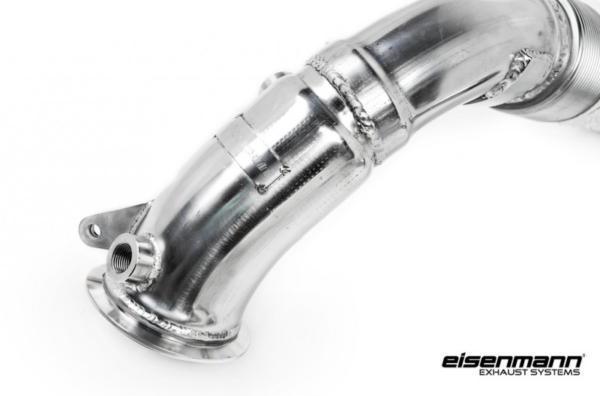 A fixed downpipe with no flex section will not move with the exhaust, putting additional load on the gasket and limiting its ability to create a good seal therefore harming the efficiency.